At Murphy’s Pub Templemore you will receive a genuinely warm Irish welcome and friendly service. It is probably the friendliest pub in Templemore. Its a great place to go if alone or with friends. We pride ourselves on our traditional pub serving fine ales and lagers and of course traditional black stout. We Recently have refurbished Murphys Pub in late 2015. 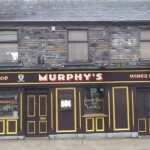 “Murphy’s Pub” is located on the main street in Templemore Co.Tipperary. We are open from 9.30am serving breakfasts and from 12.30 our lunch menu is available right up to 9.00pm. Inside you will find a comfortable place to relax and have a quiet drink or freshly prepared meal or snack. 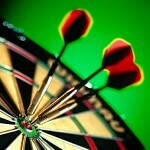 Drop in to us and see all that is great in traditional Irish pubs, from our winning service and value lunch deals. Our New 2016 Menu is great value & available everyday. We have some great deals on lunches for this year too.